Infragistics | Cogito Solutions Ltd. Break away from boring and create desktop applications that are anything but with Infragistics Windows Forms, WPF, and Windows 8 controls. Touch-capabilities, bold styling, lightning-fast speed: these tools will help you build apps that stand out from the rest. 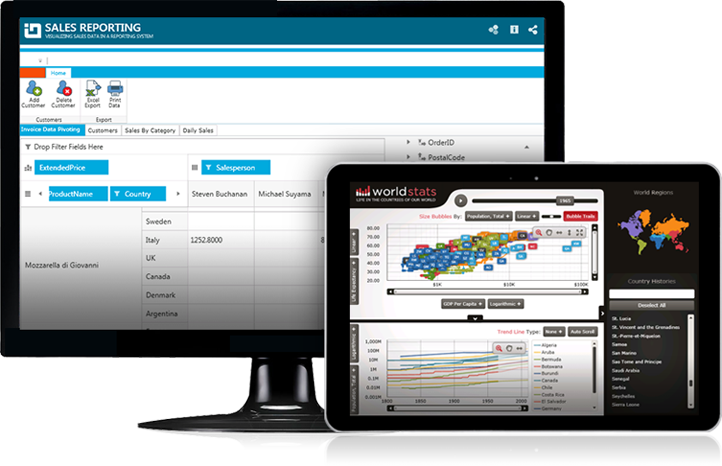 Infragistics’ suite of more than 100 Windows Forms UI controls allows you to quickly build stylable user interfaces that deliver superior user experiences – especially when you incorporate the incredible rendering capabilities and animation support of our data chart. Master your enterprise development with the speed, scalability, and touch support of our WPF controls. 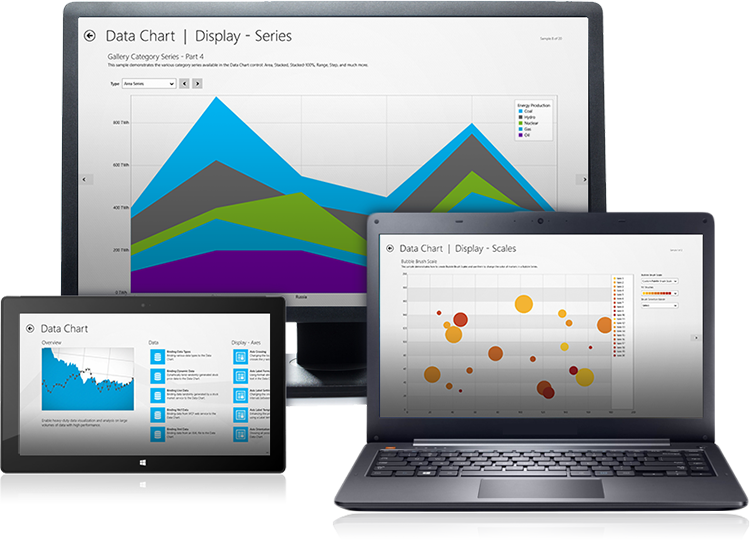 And with more than 50 different chart types, you can render millions of data points within milliseconds with our market-leading WPF data chart. 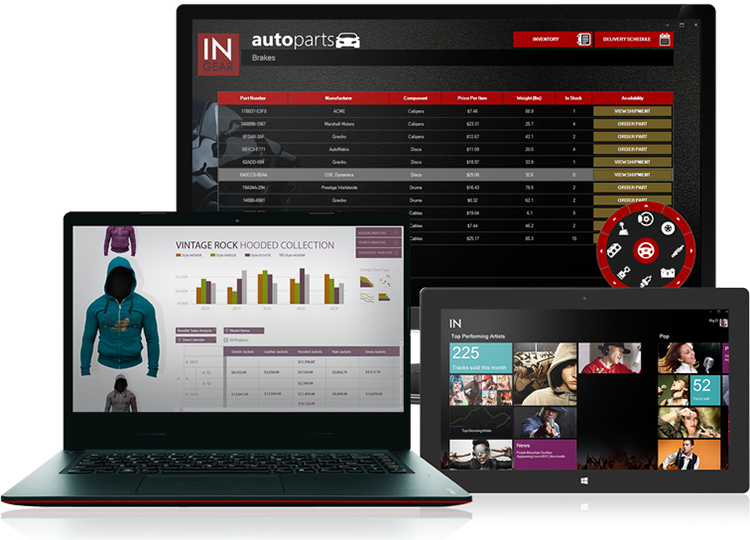 Infragistics Windows 8 controls bring together the best of the PC and tablet. 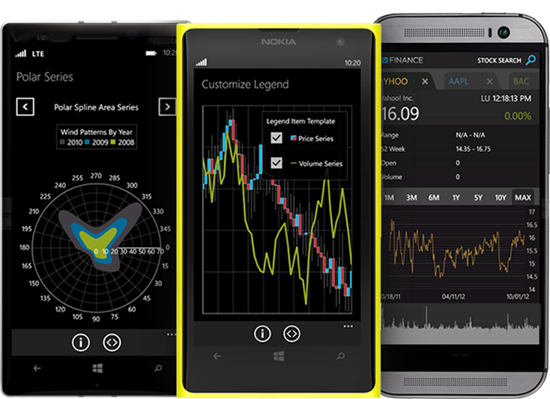 Let your data tell the story with the broadest range of interactive, high performance data charts, and build engaging business or consumer apps in HTML or XAML. 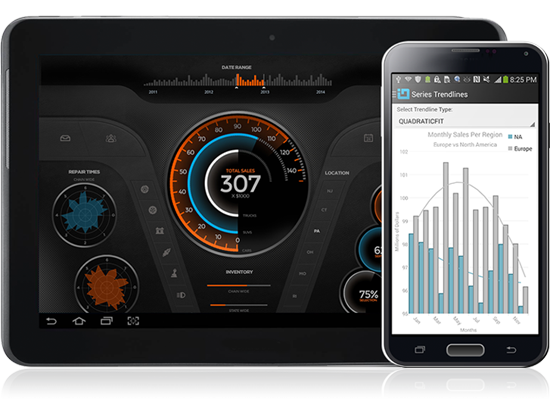 Charts with market-leading speed, grids that can easily handle hundreds of thousands of data points, modern style: Infragistics mobile controls have it all. Created with performance and top-notch user experience in mind, these lightweight toolsets will have you building amazing applications for smartphones and tablets in no time. Infragistics Xamarin.Forms UI controls allow you to build native apps backed by Infragistics’ own outstanding iOS, Android & Windows Phone toolsets. No need to learn a whole new platform; simply use your existing C# & XAML skills to build cross-platform native apps using a single codebase. 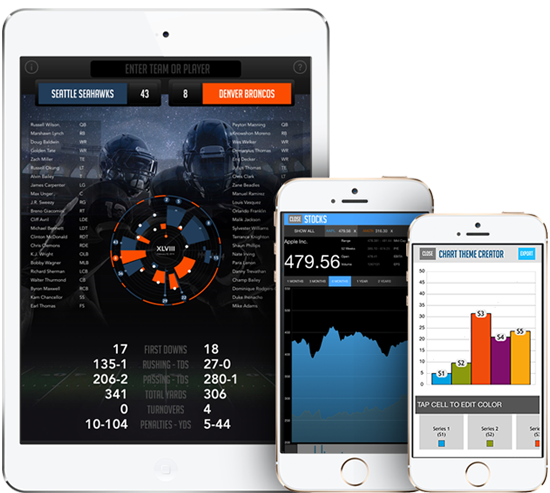 This toolset has everything you need to create high performance, highly visual, totally native iPad and iPhone applications, with our advanced data grid and a powerful set of versatile charts perfect for mobile applications in the consumer marketplace or the enterprise. 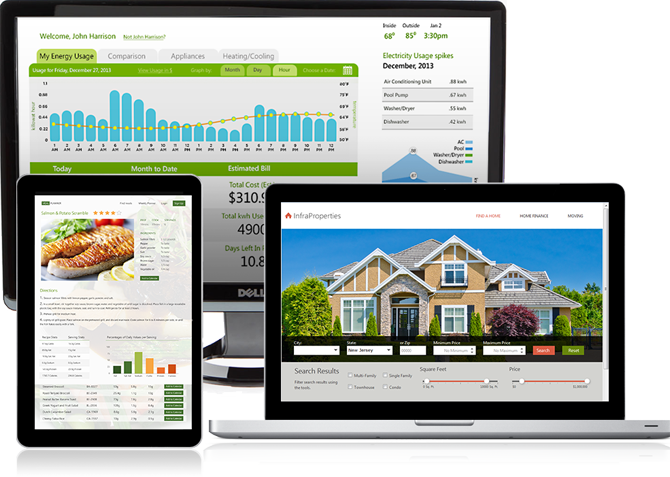 Display charts with hundreds of thousands of data points with real-time motion framework animated updates. 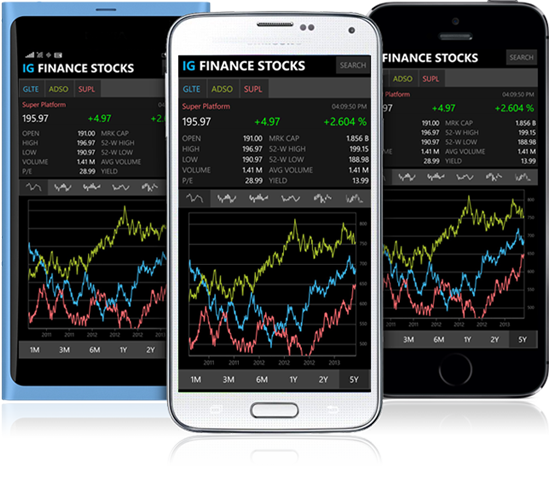 Infragistics Android controls offer a simple, modular API designed specifically for easy access to the chart's functionality, including built-in, natural multi-touch gestures for panning and zooming to drill down or zoom out to see your data any way you want. 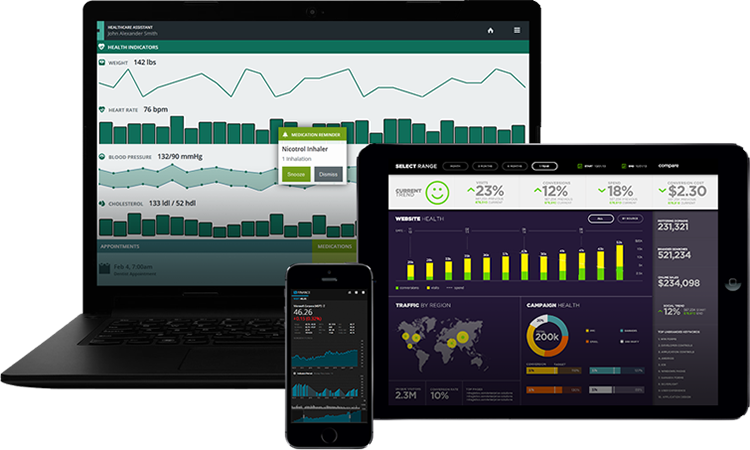 With a solution for every conceivable business scenario, users will have no problem staying on top of KPIs and actionable metrics with Windows Phone apps build with Infragistics controls. Get full access to the rest of the Visual Studio toolbox with support for the highest-performing charts, grids, and more. When it comes to your apps, performance matters. That’s why you can trust Infragistics web controls: built to meet the highest standards in ease-of-use, style, and speed, these tools will have you creating web applications that can truly do it all. If you have massive amounts of data that requires lightning-fast processing, only the industry’s top-performing controls will do. Our flexible, advanced ASP.NET controls allow you to quickly build and style superior user experiences with stability and performance. Deliver the best HTML5 applications across every browser, platform, and device with the speed and responsiveness of our jQuery controls - especially our grid, which is proven to be the fastest on the market. 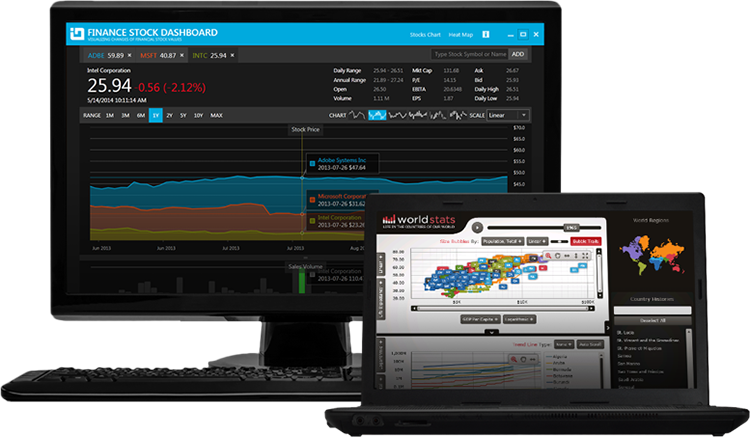 With the lightweight, flexible charts and grids you’ve come to expect, our Silverlight controls enable you to bring modern, trend-setting applications to market while shortening development time. Lumion exclusive distributor in Hong Kong and Singapore. We are responsible to develop Lumion disribution business in Taiwan, China and Asian countries. Nuance distributor in Hong Hong Kong, Taiwan and China. Copyright © 2019, Cogito Solutions Ltd.